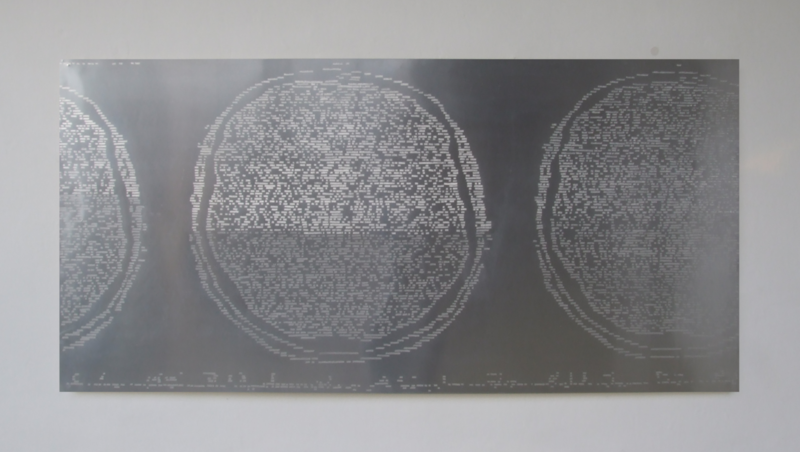 Brainmark is a self-portrait of the author’s brain created by using computer tomography. 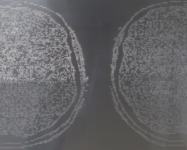 CT X-ray works on the principle that the brain is cut into individual slices. One of the section was converted into TIFF image with a 1-bit color depth, i.e. only black and white. When converting it into binary code I created a long line that breaks at the right character to again create a grid of points that represent a modified form of the original image. The matrix of points thus obtained is then carved into an aluminum sheet by hand using special tools.